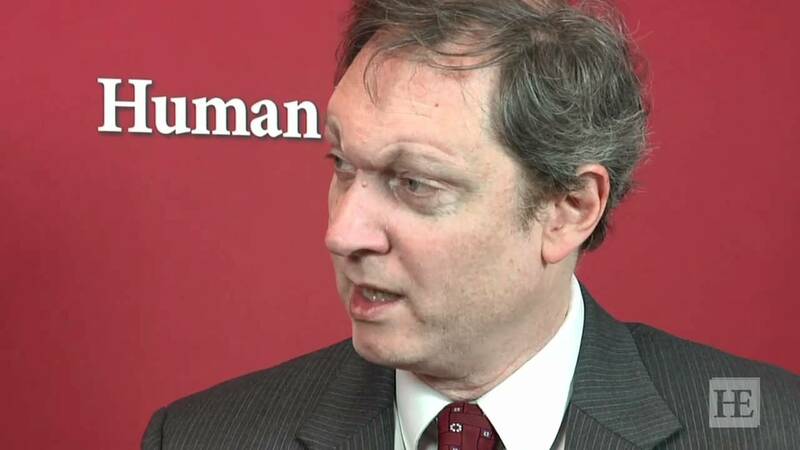 After controversies involving his work and his aggressive, sometimes pseudonymous defense of it online, Lott left academia to become the founder and president of the Crime Prevention Research Center. Yet that has hardly dented Lott’s reputation among defenders of minimal restrictions on guns. But despite the effusive praise from gun advocates, and respectful treatment by the mainstream media, The War on Guns is riddled with errors and falsehoods that undermine most, if not all, of its major claims. Every single case-control study done in the United States has found the presence of afirearm in the home is a strong risk factor for suicide. (That’s 24 separate studies.) Indeed, a 2014 meta-analysis by Andrew Anglemyer and two colleagues examining 16 studies found that gun availability tripled the overall risk of suicide (not just firearm suicide — suggesting that it wasn’t a question of victims substituting guns for other options). Indeed, if there is one aspect of the gun debate that is decidedly uncontroversial, it is that more guns means more suicides — although, of course, much research remains to be done on the subject. The NRC was merely summarizing, as academics tend to, the limitations in two studies among many others. Lott is using the NRC’s academic modesty and fastidiousness — something his own work is not known for — to undermine the central findings. The NRC report’s larger conclusion, after reviewing the research? “Overall, the U.S. studies have consistently found that household gun ownership is associated with a higher overall risk of suicide.” The exact opposite of Lott’s claim. A key Lott thesis, hammered home again in this book, is that mass shooters deliberately and overwhelmingly target places where guns have been banned. Lott rests his contention on two foundations: statements made in journals and on social media by three mass killers and his own determination that all but three mass shootings in the US since 1950 have occurred in areas that banned firearms. Both of these assertions wither under scrutiny. A makeshift memorial in Isla Vista, California, the scene of a mass shooting in 2014. The killer, Elliot Rodger, had expressed concerns about encountering police officers — not civilians with guns. Yet the main reason Holmes decided against attacking an airport, according to passages in 36 pages of handwritten notes gathered during the post-shooting investigation, is that he didn’t want his motive to be construed as terrorism. (He had no “cause” except his own brand of violent nihilism.) Nowhere in those notes does he mention civilians carrying firearms, although the notes are remarkably detailed, covering virtually every detail of the crime’s planning. So detailed, in fact, are Holmes’s notes, that we can be confident that he would have mentioned gun-free zones if he cared about them. In classifying theaters as gun-free zones, Lott makes the suspect assumption that any theater without a visible “No Weapons Allowed” sign must necessarily allow firearms. This ignores the fact that businesses might ban guns as a matter of internal policy but nevertheless be reticent to advertise that policy. Indeed, we know that Lott’s assumption is wrong, because we made follow-up calls to the theaters in Lott’s data set. Esquire Theater, for instance, which is within the 20-minute circle of Holmes’s apartment, disallows weapons as a matter of policy, yet it has no posted signs. More broadly, are we really to believe that sociopaths like James Holmes are hunched over their computers, searching for theaters within a certain radius of their home, calling up place after place to hash out the nuances of their weapons policies — all without any concern about arousing suspicions on the other end of the line? Lott appears to believe that mass shooters are incredibly attentive to the minutiae of gun policy when there is little evidence to support such a claim. Lott’s argument also relies on the assumption that “good guys with guns” dutifully adhere to “no weapons” signs, so mass shooters can reliably infer that any place with a “no guns” policy will be free of people with guns. But that’s a highly dubious assumption, given how readily gun advocates will admit they ignore gun-free signs. ARE WE REALLY TO BELIEVE THAT SOCIOPATHS LIKE JAMES HOLMES ARE HUNCHED OVER THEIR COMPUTERS, SEARCHING FOR THEATERS WITHIN A CERTAIN RADIUS OF THEIR HOME, CALLING UP PLACE AFTER PLACE TO HASH OUT THE NUANCES OF THEIR WEAPONS POLICIES? Lott cites as well the social-media account of Justin Bourque, who killed three Canadian policemen in Moncton, New Brunswick. This might be the oddest example of all. Bourque did mock gun-free zones on social media, but when he carried out his attack he deliberately targeted only police officers, all of whom were armed. Pause to let it sink in: Lott holds up as proof of his theory that mass shooters avoid men with guns — a mass shooter who specifically targeted men with guns (as did the killer of the Dallas police this summer). The best available evidence suggests that shooters do not deliberately choose gun-free zones for their attacks, and instead usually choose locations where they have a deep-seated emotional grievance — or, in some cases, they simply go where the public is gathered and where police are likely to be absent. Lott asserts that “What scares criminals most is the thought of their victims having guns. A gun response when confronted by a criminal is the safest, according to the Bureau of Justice Statistics’ National Crime Victimization Survey.” He continues: “Gun control advocates seem to think that waiting for police to arrive is a good enough option for poor Americans.” Unfortunately for Lott, the actual data he cites undermines his claim. A recent studyexamining NCVS data showed that doing nothing and using a gun in self-defense have almost exactly the same injury rates (11 percent versus 10.9 percent). In fact, calling the police or even just running away both led to less risk of injury after the defensive action (injury rates of 2.2 percent and 2.4 percent respectively) than gun use (4.1 percent). Lott also opines that “Guns are used defensively some 2 million times each year.” This is anold chestnut that really needs to be retired. The survey he pulls this number from is two decades old and hopelessly flawed. In 1992, Gary Kleck and Marc Gertz, criminologists at Florida State University, surveyed 5,000 Americans at random, by telephone, asking them if they had used a firearm in self-defense in the past year. They identified 66 cases of successful defensive gun use in the sample, and then extrapolated their findings to the general population, leading to the number Lott cites. One kind of error common to such surveys is “telescoping”: Respondents report any time they’ve had the experience inquired about, regardless of the time period specified. More importantly, gun owners justify their purchases to themselves in terms of self-defense, so they have a strong motivation to say they’ve used their guns that way. Instead, the best available empirical evidence from the Gun Violence Archive finds fewer than 1,600 verified defensive gun uses each year. Where are the remaining 99.92 percent of Lott’s claimed gun uses hiding? Lott states that accidental gun deaths among children “rarely involve children shooting themselves or other children” and “Overwhelmingly, the shooters are adult males with alcohol addictions, suspended or revoked driver’s licenses, and a record of arrests for violent crimes.” The second claim has no citation at all. His citation for the first claim is “a study that [he] did on the years 1995-2001” for an earlier book, The Bias Against Guns. Yet, turning to that book, we find reference only to one unpublished, un-peer-reviewed LexisNexis search of newspapers in 1998 and 1999. This claim, too, is easily refuted. Data from the National Violent Death Reporting System(compiled for us by the Harvard Injury Control Research Center) finds that of 72 fatal accidental shootings from 2003 to 2006 involving children between the ages of zero to 14, two-thirds of the victims were shot by another child. When you combine self-inflicted injuries by children with shootings by other children, the proportion rises to three-fourths. Lott’s assertion is clearly outlandish. Unfortunately, Lott’s book fits the pattern in a career distinguished by dishonesty. If you are interested in an honest, fact-based analysis of the gun debate, books such as Private Guns, Public Health by David Hemenway and The Gun Debate by Phillip Cook are excellent places to start. The War on Guns is not worthy of your time. Nonetheless, Lott will likely continue his book tour on a near-endless list of right-wing radio shows, and unfortunately continue to be cited as an expert in mainstream media outlets such as the Washington Post, the Wall Street Journal, LA Times, Politifact, CBS, CNN, Fox News, and many others. For mainstream outlets, Lott fills a need for “balance.” He’s a gun advocate who wields social science in a way that sounds authoritative, or at least “academic,” to non-experts. But news outlets who cite John Lott as a gun expert are falling for a charade.